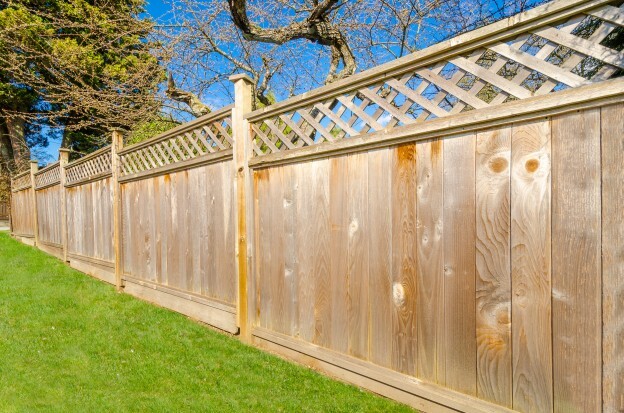 When deciding which type of fencing in Wolverhampton to have installed at your home, it’s important to consider options that will look good all year round. During the winter months, we can get difficult weather conditions which include heavy winds, hail and snow. The good news is that our fencing has a proven track record of withstanding challenging forecasts. In fact, the Closeboarded Fencing Panel is a pressure treated panel which provides privacy to your home. The pressure treatment means that it is extremely durable when dealing with the aforementioned unpredictable weather. If you are looking for something sturdy but with a different style; we have Trellis Turve Top panels, which given the gaps between the timber means you can grow plants up the panel and give your garden a unique spin. All the fencing we produce here at Weston Sawmill is produced on a bespoke made to measure basis, as we believe that everyone should have fencing that fits your own unique style. We pride ourselves on giving you advice every step of your journey with us, as happy customers are always our priority. By asking our design team about remodelling ideas early, you can ensure your fencing has an original feel and also completes the revamped look of your home. Since we began trading way back in 1993, the reputation of Weston Sawmill has continued to soar and we now consider ourselves the leading supplier of fencing in Wolverhampton and the surrounding areas. If you are not 100% sure about the style of fencing you need we encourage you to speak to our friendly Sales team who can advise you on possible choices as well as providing a free no obligation quote. This entry was posted in Weston Sawmill and Nursery and tagged fencing in Wolverhampton on January 15, 2019 by admin.